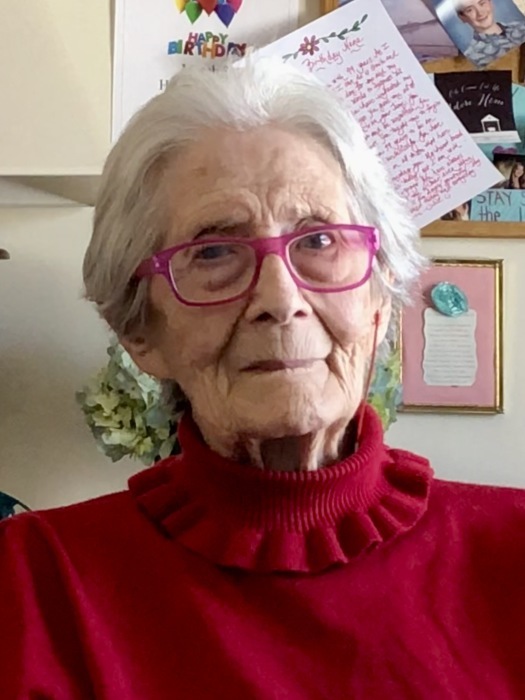 Age 99 of Otsego, MN passed away peacefully, April 8, 2019 at CentraCare Health – Care Center, Monticello, MN. A celebration of life and interment to be held later this summer. Thelma Leslie was born March 3, 1920 at Winner, SD to Karl and Bertha (Cornell) Leslie. She graduated from high school and attended Southern State Teachers College at Springfield, SD. She married Earl Kropuenske on October 5, 1940. She and Earl taught in rural schools for four years and later she completed two years at Madison State Teachers College. She continued teaching and later the family moved to Luverne, MN where she taught for fourteen years at Luverne Elementary and continued her education finishing her four-year degree at Sioux Falls College at Sioux Falls, SD. In 1975, she and Earl moved to Waseca, MN to be closer to their family and the Mayo Clinic in Rochester, MN. They were members of Grace Lutheran Church and the senior center. She loved volunteering. Her husband Earl proceeded her in death on June 8, 1989. Also, her parents, there brothers, three sisters, sons Duane and Wayne and daughter in-law Patsy. She is survived by grandchildren Julie & Jeff Knollenberg – Zachary, Benjamin and Emily, Dawn Kropuenske, Jay & Laurie Beyer-Kropuenske – Claire and Samuel, Nichole Tilc – Christopher and Veronica, Jessica & Dustin Stanton – Addison, Alex and Avery and a host of nephews and nieces.